Casino Supply Complete Craps Set: Includes Everything You Need to Play Craps! Bring some casino excitement to your next party with our Complete Craps Set! 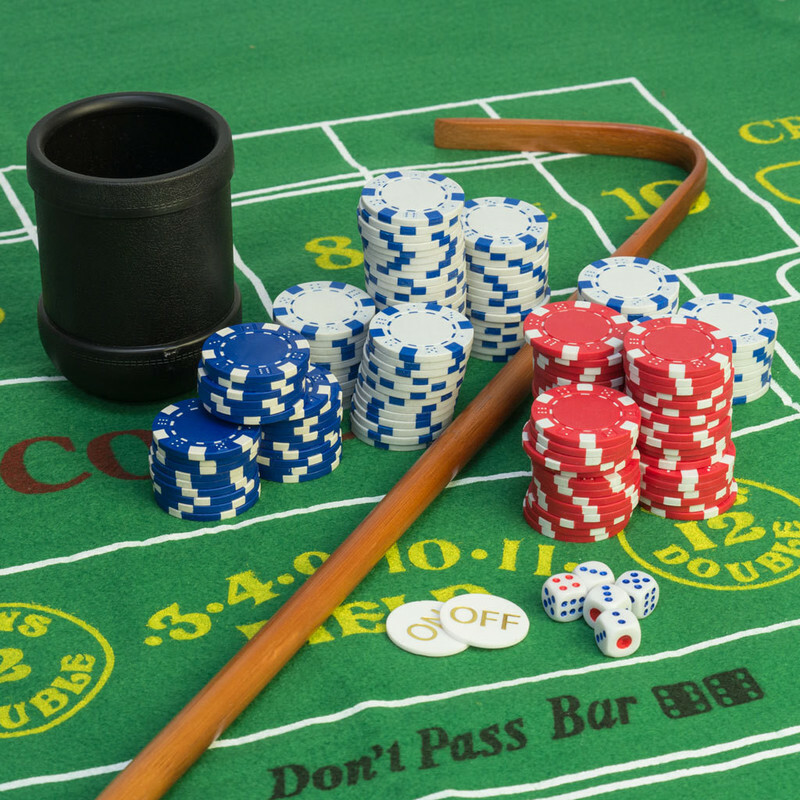 This Craps set includes everything you need to play the game at home! Layout can be easily attached to a board, or used as a temporary set-up. A great way to practice before you head out to the casino! This is a great buy and you are getting great quality, brand new equipment. Great for home casino nights or parties! Complete Home Style Craps Set - Includes Everything You Need to Play Craps! Includes a 36" x 72" felt layout, 5 dice with a dice cup, a 36" dice stick, one professional two sided 2" ON/OFF puck, and 200 Casino size multi-color chips.